In 2006, Pontoon Works Ltd was contacted by a supply chain partner to the MOD to design, supply and install a Ferry Pontoon capable of moving vehicles, personnel and ammunition for trials off the coast of Cape Wrath. This was done, and the Pontoon serviced the military for 11 Years. Pontoon Works used their initial design again to replicate the pontoon ferry along with a galvanised steel frame, but this time contacted GripClad to supply some GRP grating for the base of the pontoon. 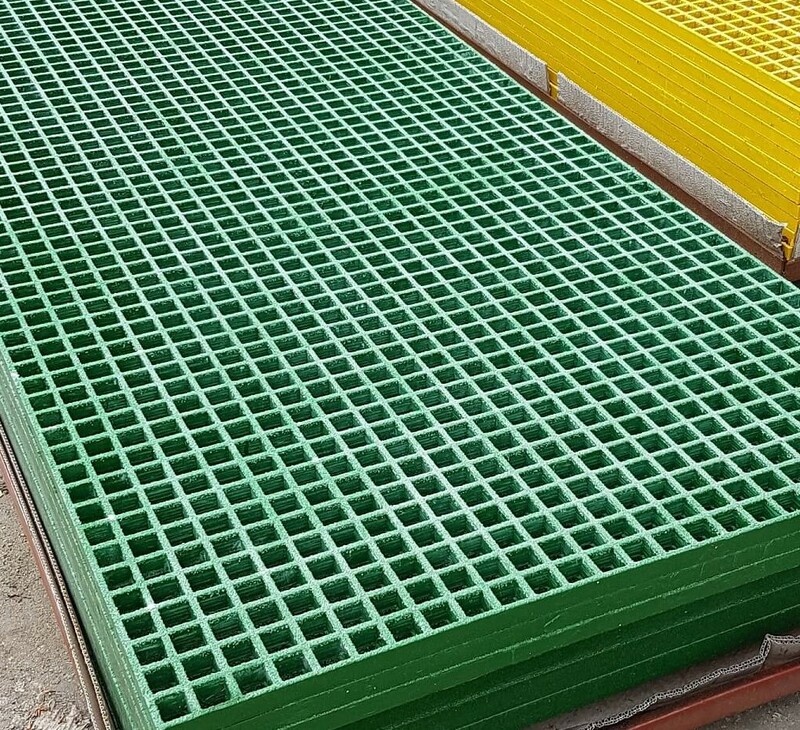 Provided GRP ISO Anti-Slip Grating solution. Do you have a Pontoon project? In 2017, a storm damaged part of the existing pontoon ferry. Gripclad were contacted via Pontoon Works to supply the grating for the replacement. The GRP grating was required to provide stability to the vehicles and goods that were to be placed on the pontoon. The pontoon and steel frame was assembled in the Pontoon Works yard prior to galvanising and measured to ensure that the correct size of GRP grating was ordered. GripClad provided GRP ISO panels, which were cut down to order for this ferry pontoon. We worked very closely with Pontoon Works to ensure everything was supplied and delivered in a timely manner. On completion of the installation in Cape Wrath the ferry pontoon was put to work almost immediately, transporting the vehicles, ammunition and personnel from the mainland to a military-owned island for their trials.